What if my car runs out of charge? The committee has had a couple of things planned for the start of 2019, both of which ran into organisational hiccups, but will re-appear later in the year. The meetings will be informal, but we’ll plan to have at least a couple of the committee and their cars at each meetup, so you can come and ask questions, meet other owners, and maybe grab a refreshment or two. Eco town produced a video. Our Model X was featured a couple of times! If you’re down at the home show, come and say hello – we’re there all weekend. Lets hope some follow-through happens. We’ll keep you posted, and well done, Jayson. If you want to respond on twitter and share the excitement, click on the image above to link to Elon’s response directly. At present, the fastest speeds may be limited to new Model 3 deliveries (and the upcoming Model Y), but a new accompanying software update also works to condition the battery of your vehicle before you arrive, if you set the satnav to take you to a Supercharger. After the full annoucement today, we will update with more information. 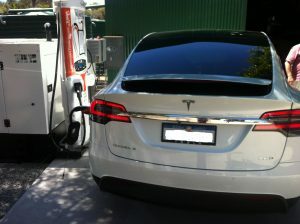 We will not see V3 Superchargers in Europe and Asia-Pacific until late this year. 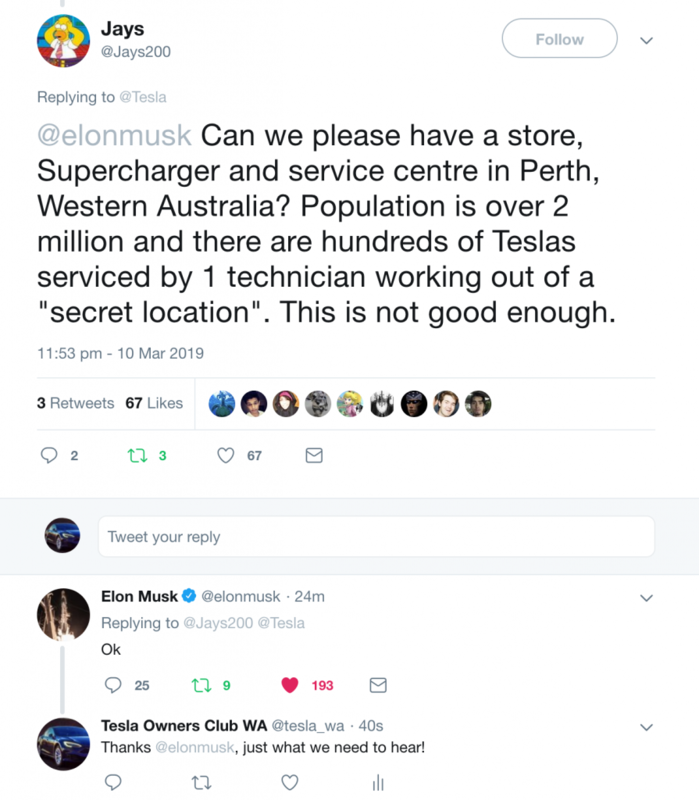 The arrival date of Perth’s Supercharger is still unconfirmed, but we hope to see a more concrete announcement on this, too. 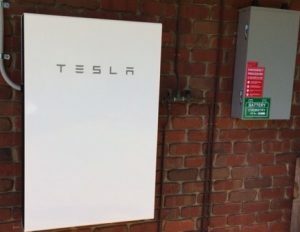 There has been a lot of positive articles out there on the attributes of the Tesla Powerwall and an equal amount of misinformation. A lot of the attention is focused on the cost benefits analysis of both solar and indeed more so the Powerwall storage battery. Often overlooked is the very basic practical advantages of a combined system and the subsequent feel good efficient use of power. Hopefully this article will dispel some of the myths. At this time of the year the system is producing over 41kw of power per day which is more than double our daily power consumption. There has been no need to use peak power from the grid and we try where possible to keep our consumption equal to what the solar panels produce. Owning two electric vehicles, battery powered saws, drills, battery reciprocating saw, battery hedge trimmer etc. means that we can charge up all devices when the sun is shining – directly from the Sun. Rather than directing excess solar production back to the grid at 7cents a kilowatt the Tesla Model S can consume the marginal power and more importantly can be calibrated to the extent that it will only use the level of excess power produced by the system and no more. Whilst there are a couple of gadgets that you can install to automatically switch the excess power to the car it is simply a matter of reducing the amps to the car to maintain the equilibrium. Easy to do on the cars charging screen. When the sun rises in the morning its first priority is to power the house and then charge up the powerwall which is sometimes run down low whilst powering the house overnight. All subsequent power generated is then directed as we see fit. The Powerwall has been a fantastic addition and has kept the house going particularly in September and October last year when we had a 48 minute outage and a one hour 22 minute outage. The house has three phase power and all of the essential circuits are backed up. 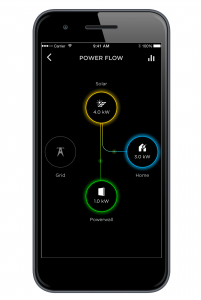 There has been a lot of negative views on the ability of the Powerwall to back up a three phase home. Our system has been tested twice just recently with all essential circuits operating as normal. The storage capacity of the battery is well and truly sufficient to keep all of our essential services running for quite some time. Exactly what we would expect. There are a lot of unrealistic expectation out there which can only be satisfied by a significant increase in battery storage capacity or multiple power walls or commercial type of storage units. Just depends on your daily power needs in times of grid power outage which after all is not all that frequent. The feel good part is being able to charge both electric vehicles and appliances directly from the Sun and of course enjoying the financial benefits of lower power costs. 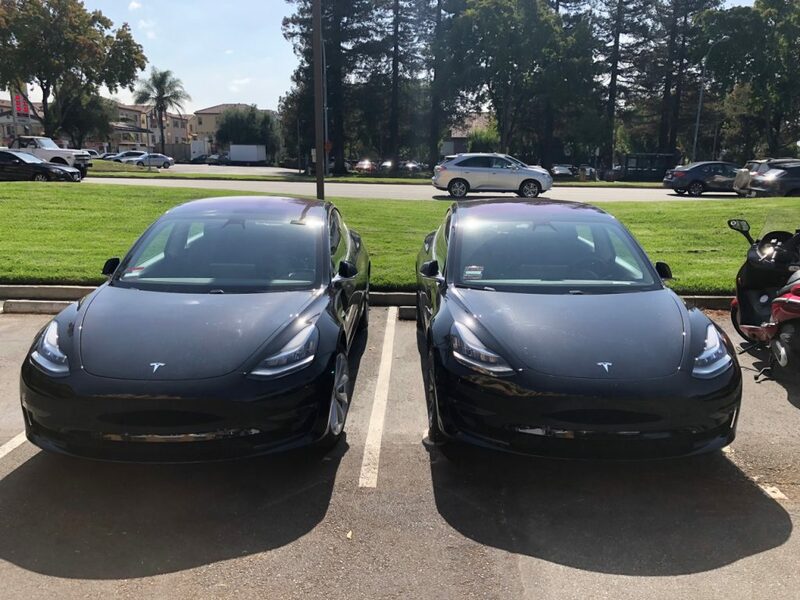 On our recent trip to California for the Tesla Owners Group meetup, Harald and I hired a pair of matching Model 3s through Turo. They were both from the initial production run and therefore had the long-range battery, premium interior, single motor and in basic black. We are unlikely to see this model in Australia in the initial release, as like Europe, we’ll probably get the two dual-motor options – the long-range, premium dual-motor and the performance dual-motor. The conference was in Milpitas, and we flew into San Francisco, so there was a nice combination of interstate driving and local roads. After getting my head around 4-way stops in San Francisco, I headed out onto I-280. If you’ve driven a Model S, the Model 3 feels very familiar. The single-motor Model 3 feels a little slower than my uncorked S75D, but snappy enough for easy acceleration. The regenerative brakes feel similar also. The main standout was the feeling that the 3 was much more nimble. This is not really a surprise given the reduced weight and wheelbase, but it was nice in unfamiliar road conditions to feel like you could point it and go. The suspension felt a little firmer than the S, but again, this is likely mostly related to the difference in weight. The single screen was a novelty for about the first hour, and then I stopped noticing that it was any different. 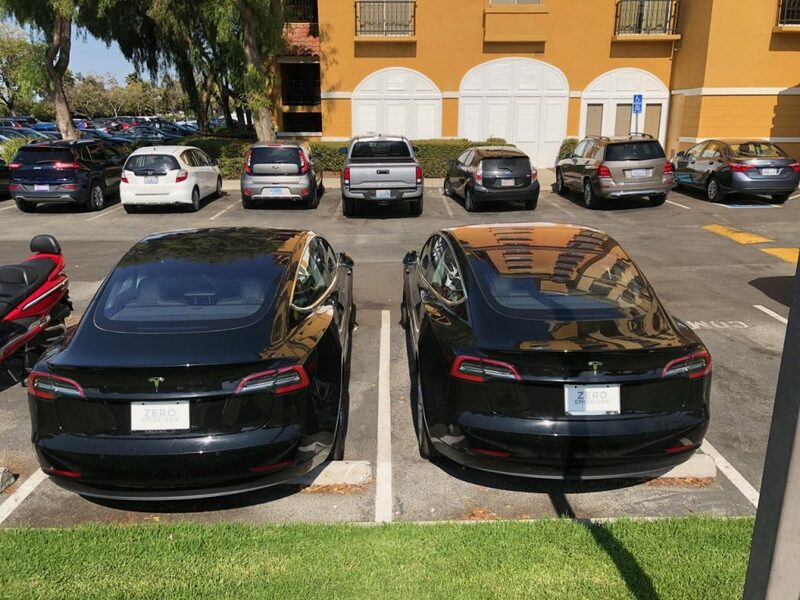 The vehicle I had was running a late v8 software version, but those who’ve upgraded to v9 will notice some similarities that we’ve inherited from the Model 3 software design. I don’t have any driving shots as I was by myself, but this image was taken while supercharging. 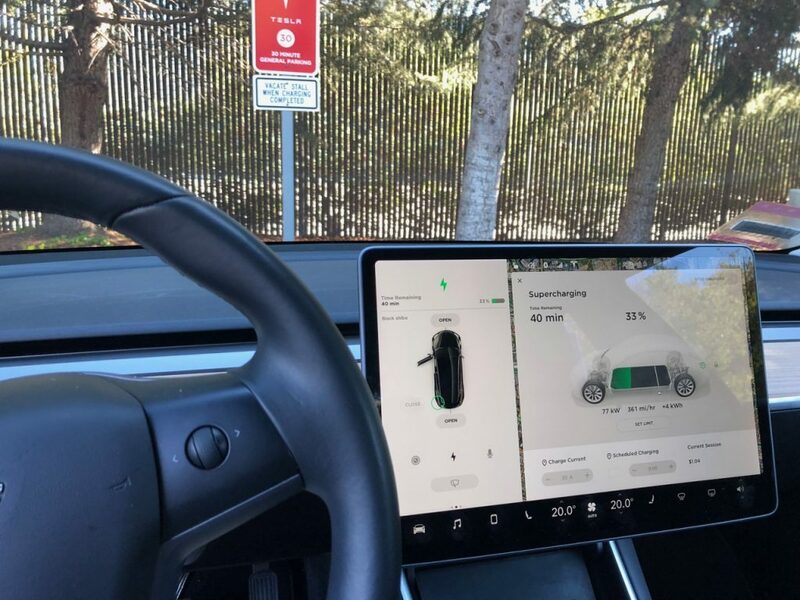 The third of the screen closest to the driver contains items that would appear on the Model S/X driver display and the remainder of the screen is laid out very similarly to the main display. One key difference is that because it’s all touchscreen, you can interact with the drivers display in a few ways. The steering wheel controls were also different with the scroll wheel and paired buttons replaced by a scrollwheel which could be pushed side-to-side as well. I had mine set up for the cruise speed and for audio control, and both options were intuative. It was sometimes tricky to advance the music track without also clicking pause, but I’m sure I would have got more used to it over time. Annoyingly, the vehicles we hired did not have Autopilot enabled, so I wasn’t able to test that, but I assume it will respond much the same as any other Tesla with Autopilot. Interior appointment was excellent. 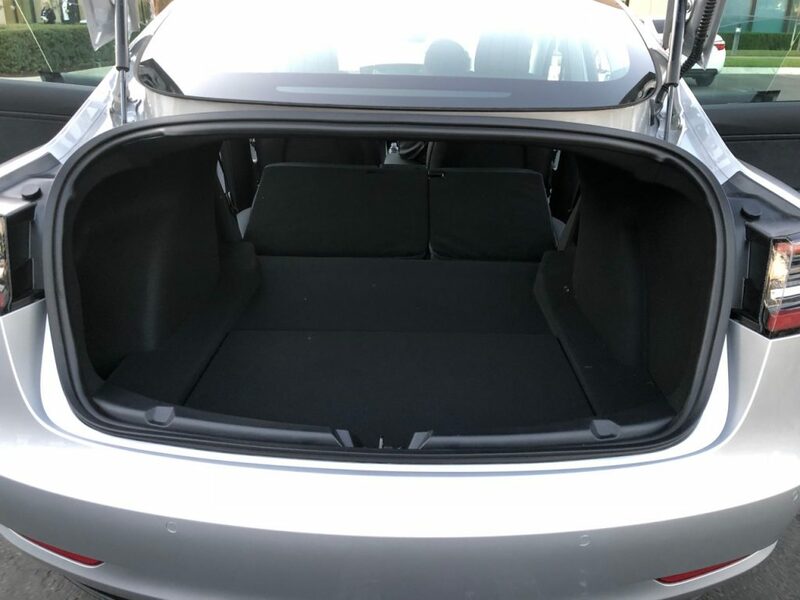 The seats were firm and comfortable and I think the rear seats were a little nicer than those in the Model S. Because there is no hatch, and therefore no need for hinge structure in the roof, the rear headroom felt better, and it was a perfectly fine place for two adults to sit. The Model 3 is narrower, and this would make it tight for three adults in the back, but certainly workable for shorter trips. The front ventilation is amazing, with the touchscreen controlling where the air is directed for driver and passenger – you can move the stream up and down, as well as set it as a single stream, or split. There are no moving parts in this system as I understand it – the air is directed by varying the amount at the top and bottom edges of the vent channel. The main difference in practicality is that it is somewhat narrower, and therefore can restrict some types of cargo. I routinely put my road bike, with both wheels still attached into the S with the seats folded down with little fuss. Testing this on a Model 3 required removal of one bike wheel to fit through the opening to the back seat area. That said – it was still quite doable, and I doubt it would present much of a challenge – It felt similar to the space in my previous Audi A6, for which I needed to do the same thing. This was an eye-opening experience. The acceleration felt on par with a P-series S, although on the spec-sheet it’s *only* 3.5 seconds to 60mph. I walked away from that experience seriously considering replacing my S75D with a performance 3 – it’s likely to land in Australia around $A100,000 which is quite a bit less than I paid for my S.
Feel free to ask questions, make comments below, and I’ll try and answer as many as I can. 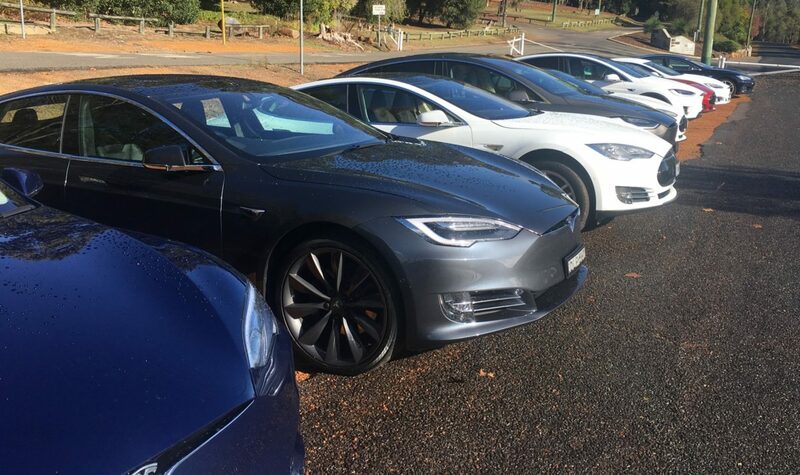 Several electric vehicle drivers in Australia have made the long journeys away from the isolated City of Perth travelling to Darwin, Adelaide and even all the way around Australia. A few keen enthusiasts in the EV community have done an excellent job arranging 3-phase power points to be installed along these routes. While these have been much appreciated by those that have followed, many places are not well connected to the grid and the power supply is inadequate or more to the point not as reliable as required – phases are often not balanced and access is sometimes restricted. The ChargePod was developed to service these locations, with a simple easily installed skid with 50kW DC charging capability. A keen AEVA member has built a prototype unit and a fuel consumption and endurance test was undertaken. 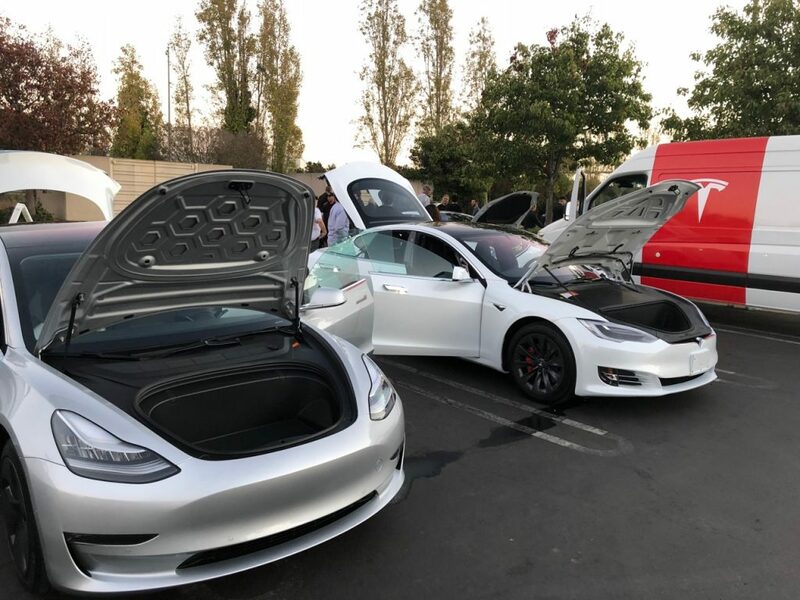 The test consisted of 10 electric cars being charged consecutively at roughly 1 hour intervals utilizing a 50kW DC charger powered by a diesel generator (ChargePod). 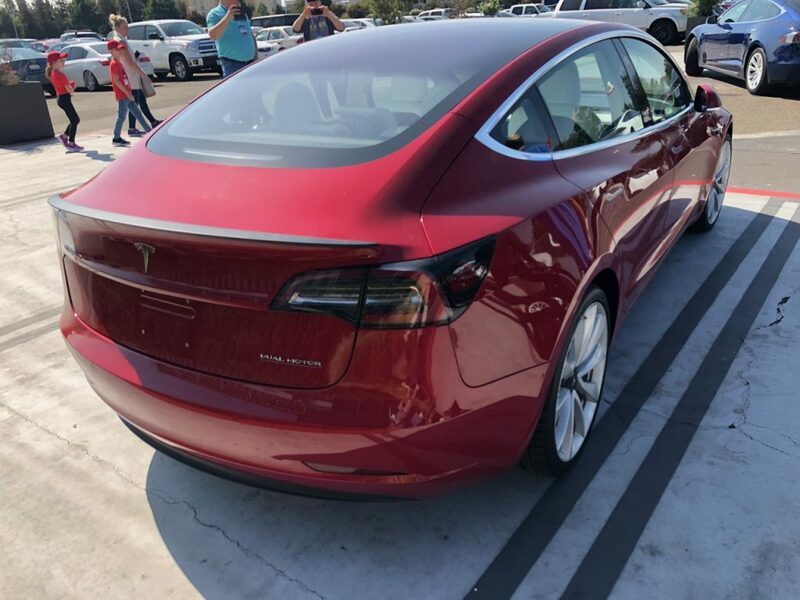 The cars were predominately Tesla Model S and Tesla Model X which arrived with around 35% battery with a view to charging to around 85% to ensure the optimum charging range. 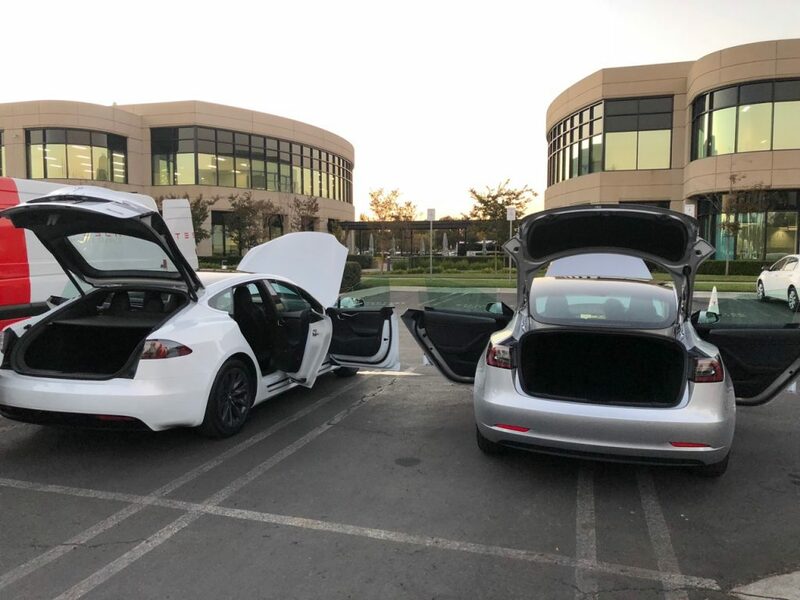 The ChargePod was not stopped between charges but allowed to idle for the few minutes while cars changed representing what would happen in a real situation. The charge sessions were all started and stopped using the ChargeFox App. A near new (23h) 75kVA Cummins powered generator set. ChargePod fuel tank topped up to 38mm from filler neck. 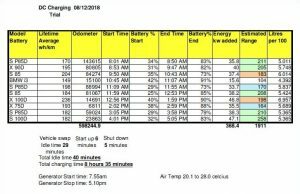 Start charging car – record start and finish battery %, car’s average kWh consumption rate, kWh added to car, session start and finish times. Change subsequent cars and repeat recordings. Complete all 10 cars then shut down. Leave skid overnight to cool. 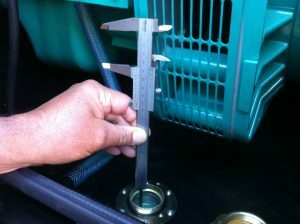 Use mobile fuel truck with calibrated meter to refuel ChargePod to 38mm from filler neck. 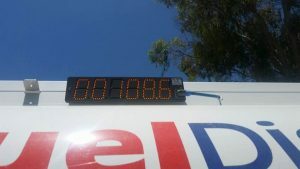 Record total fuel consumption for the test. Using total kWh added to all cars divided by the total fuel consumed an average kilowatt hour per litre diesel consumed is established – this is 3.392 kWh per litre which is the ChargePod performance. The ChargePod ran continuously for 9 hours 15 minutes and charged 10 cars without stopping. the generator consumed 108.6 litres of diesel. the total energy recorded as received by the cars battery packs was 368.4 kWh. 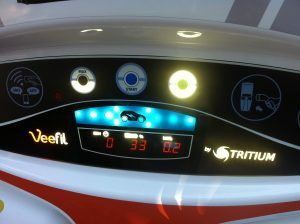 the average kwhr per litre delivered to the cars by ChargePod was 3.392 kWh/l. A stand alone DC EV-charging skid powered by diesel generator for remote locations with inadequate power delivers fuel consumption results are very comparable but on most occasions better than equivalent diesel powered passenger vehicles. Thanks to all the EV drivers who volunteered their cars on the day and most importantly to Jon Edwards who provided the venue, equipment, knowledge and can-do attitude to build the Chargepod and complete the test. On November 3rd, TOCWA held its AGM at beautiful Millbrook Winery in Jarrahdale. It was a lovely day for a drive out, even for those of us that couldn’t stay for lunch. It was great to see so many in attendance, and see the car park full of new and old Teslas! We are yet to meet and assign roles/portfolios, but we’re pleased to welcome Trevor to the committee, and to get to work on the needs and wants of our members here in WA. To that end, we’ll be sending out a small survey to members this week to help us know what are the main priorities for this year – please give us as much or little feedback as you feel led! Chargefox have announced that they will be working with motoring clubs to roll out a 350kW charging network around Australia. WA should get three new chargers over the next year (expected by early 2020 at the latest), one in Perth, one on the northern corridor and one south. At present, Teslas can not make full use of 350kW CCS-2 chargers*, as we only have DC options of SuperChargers (120kW) and CHAdeMO (50kW). 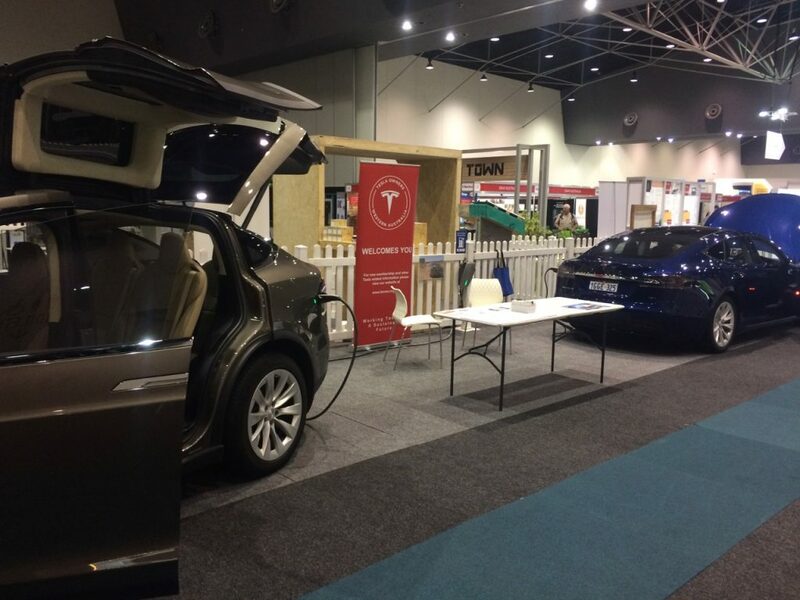 There is much discussion about Tesla’s next move, as they are members of the CHAdeMO and CCS working groups, and stated in their Australian Senate submission they advocate the rollout of 100kW+ charging using Type-2/CCS-2. 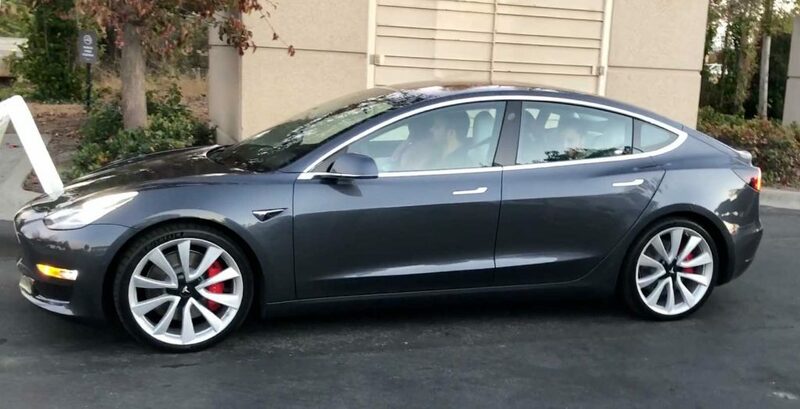 Whether Model 3 will come with CCS-2 in Europe and Australia is yet to be seen, and there is much hand-wringing about the ability to adapt current vehicles to CCS-2. It’s still great news that commercial funding continues to grow for EV infrastructure. * In fact – no currently shipping vehicle can charge at 350kW and none that are likely to ship before 2020 will.